Before the next Hurricane Harvey strikes and thousands of homes are damaged or destroyed, some Texas lawmakers want to make sure communities statewide are better prepared for floods. On Tuesday, state Sen. Charles Perry, R-Lubbock, filed legislation to establish Texas’ first-ever flood plan – slated for completion by September 2024. The statewide plan would incorporate regional plans to better coordinate flood-control projects and strategies. It would also look at flooding problems on a watershed basis, not just at the community level. This would also allow communities within the same watershed to pinpoint joint solutions – and ensure that one local plan does not unintentionally impact another community in a negative way, Perry's office said. “We live in a big state, we've had big disasters and we need a big response to address flooding in Texas,” Perry said in a statement Tuesday. The legislation, which includes Senate Bill 396, Senate Bill 397 and Senate Joint Resolution 28, would evaluate the condition of flood-control infrastructure and compile a ranked list of new and ongoing projects and flood mitigation strategies. Those could range from large-scale reservoir improvements to implementing strengthened building codes. This ranking would ensure that highest-priority projects rise to the top and secure funding, Perry's office said. Perry said Hurricane Harvey was an impetus to create a state flood plan but added that flooding does not only impact Texas’ coastal areas. He pointed to Sonora in his district, where flooding in September damaged more than 200 homes. Earthen dams near the city held, preventing even more damage, but Perry said it is only a matter of time until they fail. SB 396 includes a 10-year repair and maintenance plan for more than 2,000 earthen dams across Texas. Under the plan, each region would hold public meetings to gather input about the projects that should be pursued. To fund the state flood plan, SJR 28 would allow voters to decide whether to transfer $1.2 billion from the state's massive savings account, the Economic Stabilization Fund, to the State Flood Plan Fund that would be established under SB 397. Texas' Economic Stabilization Fund holds more than $11 billion and is the largest in the country. Still, tapping into the fund has been difficult in the past. To access the rainy day fund, a two-thirds vote is needed from the Senate and the House. Perry said it's appropriate to tap the savings fund because he believes one of the core functions of government is building flood-control projects like dams and reservoirs that protect Texans in emergency situations. "Communities also need assurances that projects in the State Flood Plan are going to become a reality and not just sit in a notebook on someone's shelf," Perry said in the statement. Prior to the start of the legislative session, TWDB – the same agency that produces the State Water Plan – issued a State Flood Assessment where it identified three recommendations for legislators: improving and updating flood mapping and modeling, using a watershed-based approach to planning, and finding a sustainable way to fund expensive projects, especially for small communities. 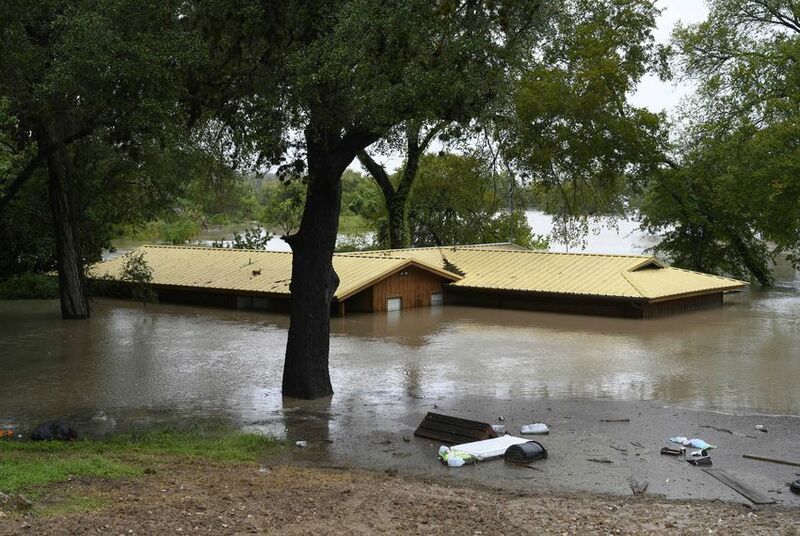 "Perry’s bills would help coordinate flood planning and implementation across the state," Mace said. "This is a big deal. These are big bills."